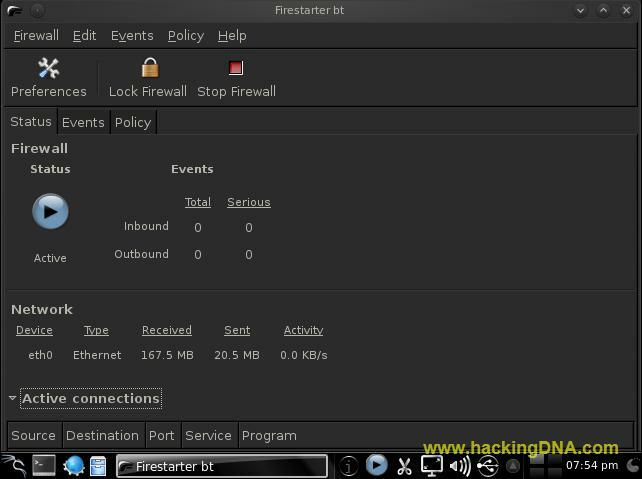 Firestarter is a open source graphical interface and userfriendly software. 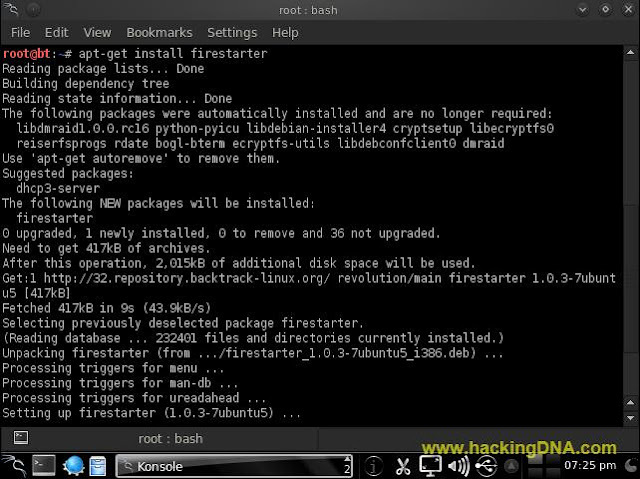 To install Firestarter On BackTrack 5 , use apt-get install command . 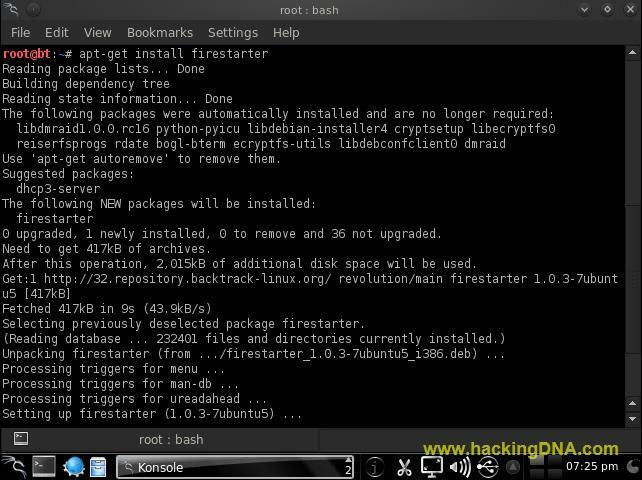 To open Firestarter goto Internet > Firestarter . 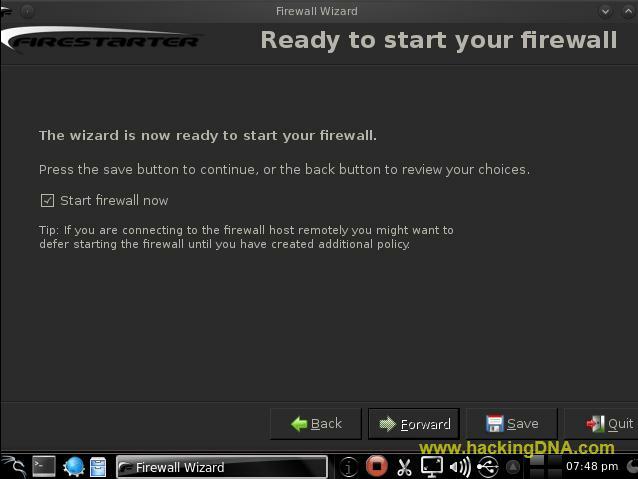 On your first time , wizard will help you to setup your Firestarter. 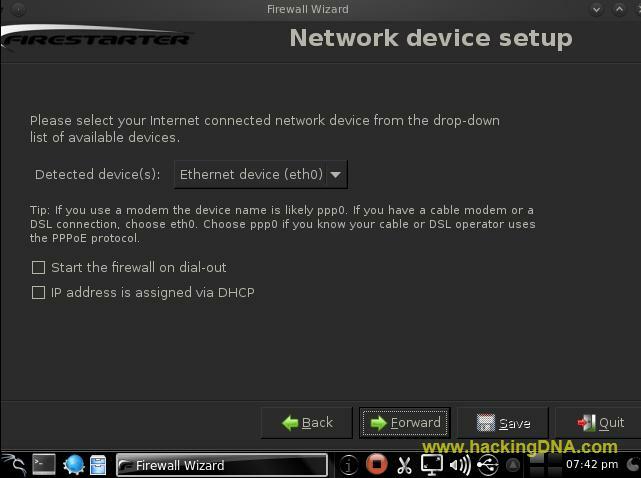 Here you have to select your network device from the drop down menu . In my case , my detected device is : Ethernet device ( eth0 ). When your selection is completed , click on Forward Button . Now with Firestarter you can share your internet connection with the computers on your local network . 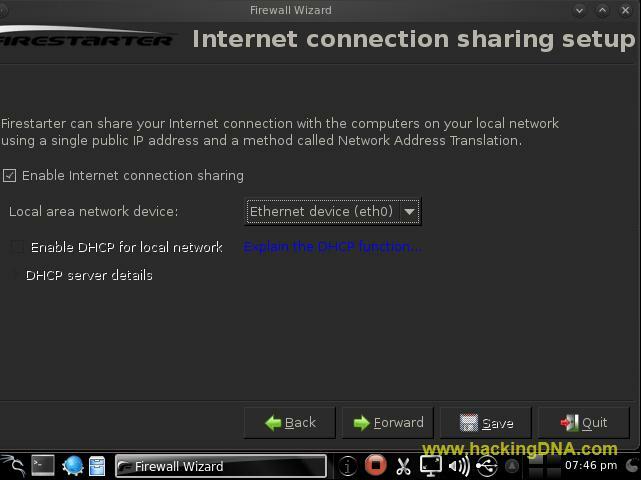 For that you have to Enable the internet connection sharing . Tip :- Don't click if you don't want to share you internet connection . Click on Forward Button . This is your last step of this wizard . Click on the check box : start the firewall now . And click on the Save Button . 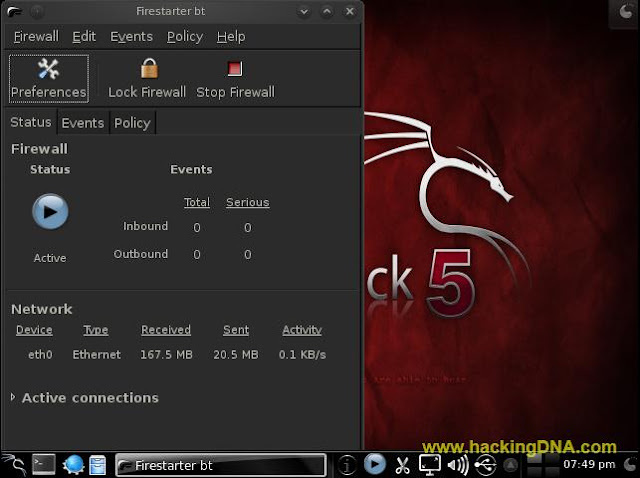 Finally , wizard over and Firestarter is running successfully on your backtrack 5 r2. To Stop firewall ,click on the stop firewall button . 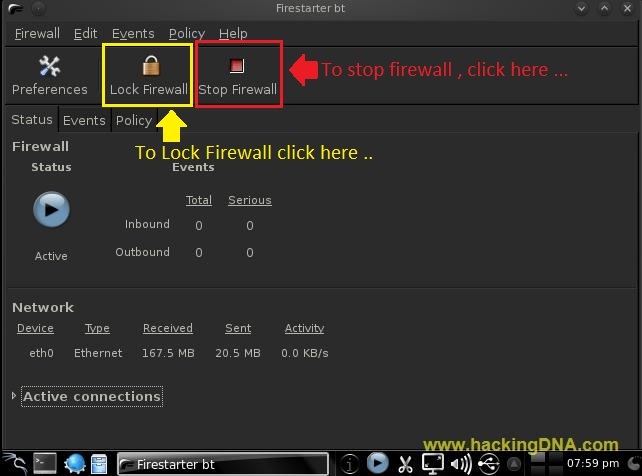 To Lock Firewall , click on the Lock Firewall button . I HOPE YOU LIKE IT . NOW SAVE YOUR BACKTRACK TOO WITH FIREWALL . is it safe for use armitage /?????? reply admin.